The Trump administration wants to increase North American content requirements for autos to 75 per cent, up from the current 62.5 per cent. WASHINGTON — New automotive rules will be the centrepiece of a new NAFTA agreement, Foreign Affairs Minister Chrystia Freeland said Thursday during a round of negotiations she characterized as being focused on cars. In an exchange with reporters between sessions at the U.S. trade representative's office across from the White House, Freeland said she and her peers are now down to the finest details on auto rules of origin. “[This] really is the heart of this negotiation," she said. "I believe very strongly, and I think this is a view shared by the two other countries, that rules of origin for autos, the highly integrated automotive sector, is really at the heart of the NAFTA negotiation. "If we can get that right, that will be the core of a successful agreement." Officials from Mexico and the United States are saying a new deal is likely within weeks, although Freeland won't be pinned down on a timeline. She said she's just working for the best deal possible, which benefits all three countries, cuts red tape and encourages innovation. Sources say the new auto rules will result in a modest increase in the required content from North America, slightly favouring companies that invest in research and pay higher wages. 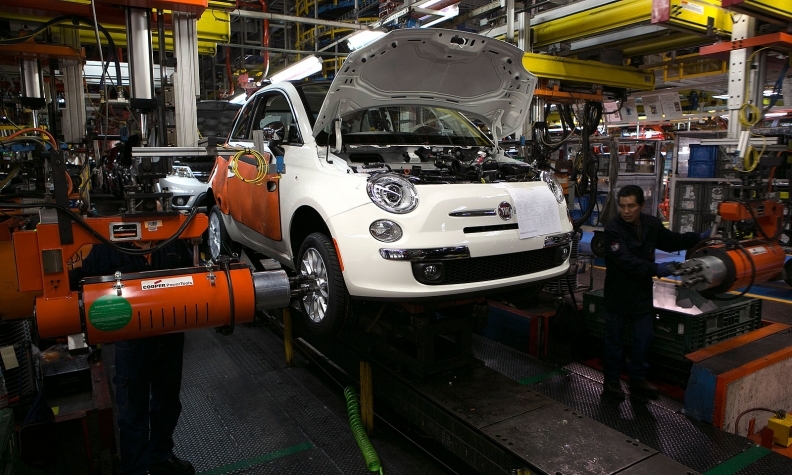 The original NAFTA required that 62.5 per cent of a car's parts come from North America to avoid a tariff; the United States had originally proposed that threshold be boosted to 85 per cent and that half of every car comprise American parts. Negotiators are now said to be settling on a system that sets the regional content standard at 75 per cent, and helps car companies get credits to meet that standard if they invest in high-value research and pay workers more than $15 an hour. "Fiendishly complicated" is how Freeland described the finer points of auto rules. Sources also say the goal is to have a new deal that can be ratified by the national legislatures of all three countries. However, if so desired, the original NAFTA also allows countries a faster way to change auto rules: by cabinet decree. Mexico's Economy Minister Ildefonso Guajardo has pegged the likelihood of a NAFTA deal by next month at 80 per cent.